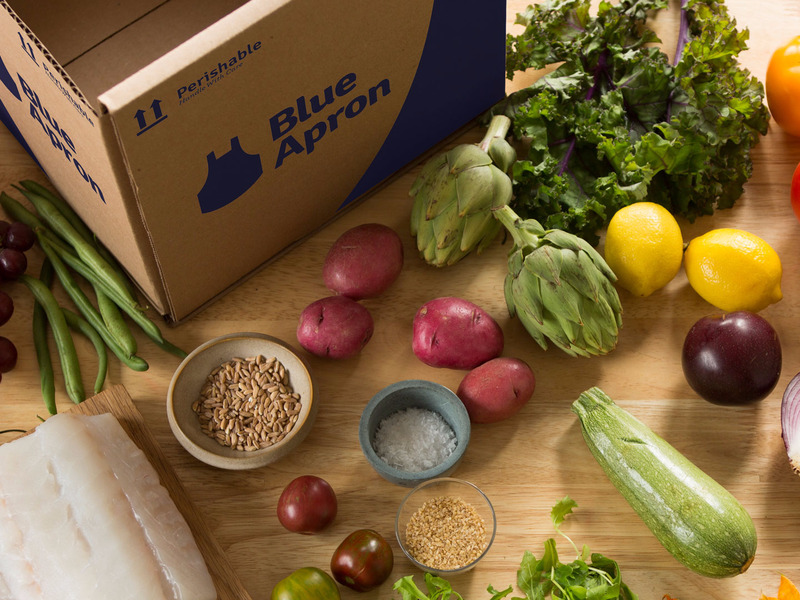 Blue Apron is off to a rough start, but investors are excited about the company ahead of earnings. Shares are up 5.68% ahead of the company’s second-quarter earnings results, which are expected to be released ahead of Thursday’s opening bell. Wall Street is expecting a loss of $US0.32 a share on revenue of $US235.78 million, according to data from Bloomberg. 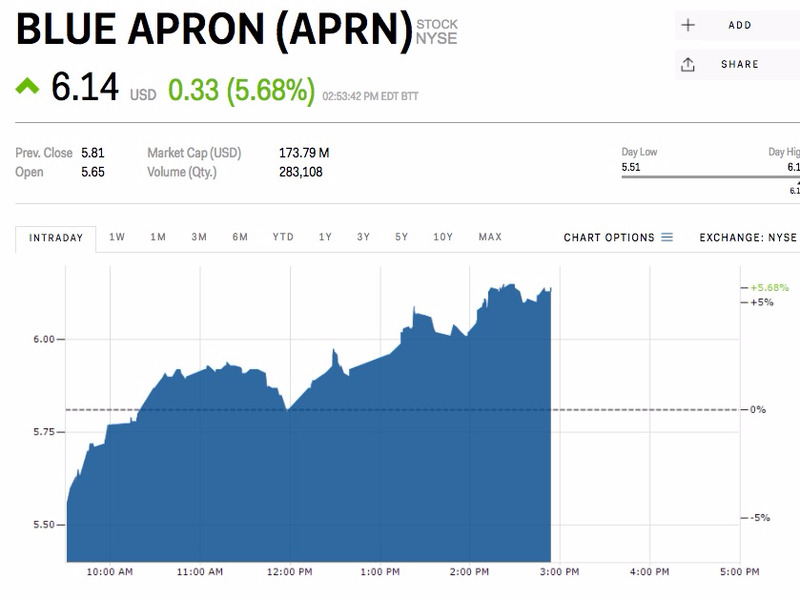 Blue Apron took a cleaver to its initial public offering range the week before its pricing, following Amazon’s $US13.7 billion acquisition of Whole Foods. Many potential investors identified the possibility of more competition in the food-delivery industry and ran the other way. As such, Blue Apron trimmed its IPO range to $US10 to $US11 a share, down from $US15 to $US17. Whole Foods has already started a limited version of a meal-delivery service of its own. But the problems don’t stop there. Blue Apron has also had problems with its user base. The company is spending more than $US400 to acquire each customer, who then leaves after a short period of time. Shares of Blue Apron have fallen 38.68% since their IPO.